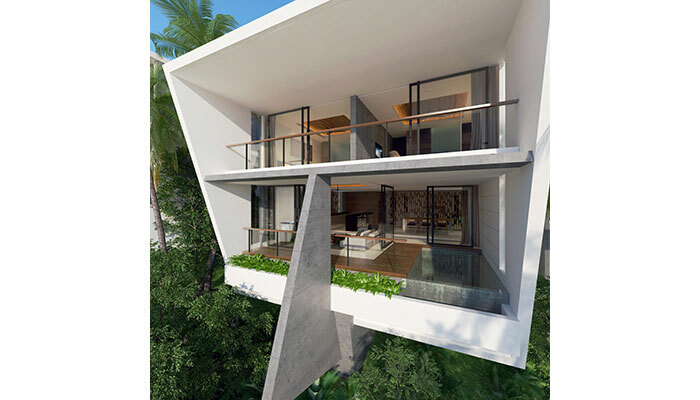 Following the success of Aqua Samui villas by Gary Fell of GFab Architecture, Luxury LIving's latest development, Aqua Duo is a collection of luxury villas in 6 different designs featuring the same incredible panoramic sea views, now synonymous with the Aqua Samui brand. 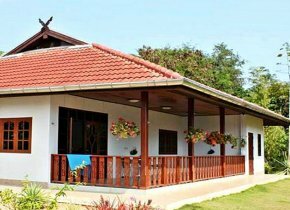 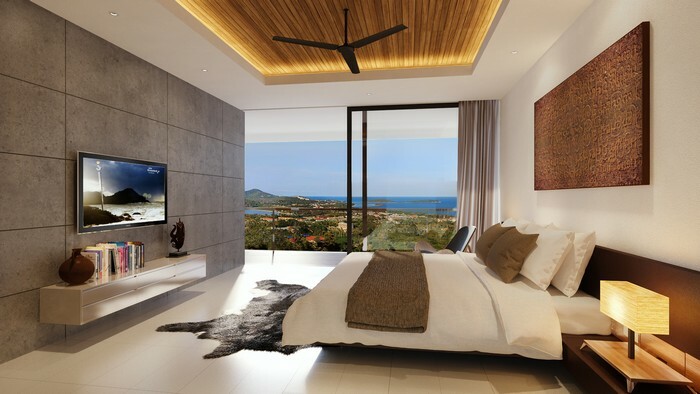 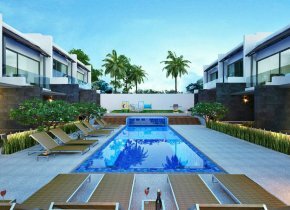 Located in the Chaweng hills just a short 5 minutes drive from the hustle and bustle of tourist Chaweng Beach, the villas are within easy reach of a large choice of restaurants, bars and beachfront resorts and the newly built Central Festival Shopping Mall. 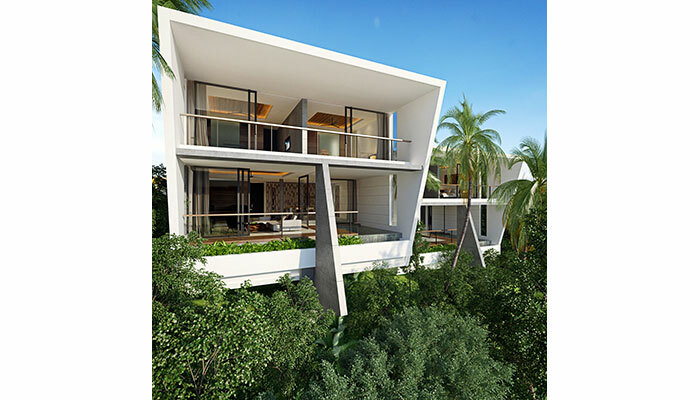 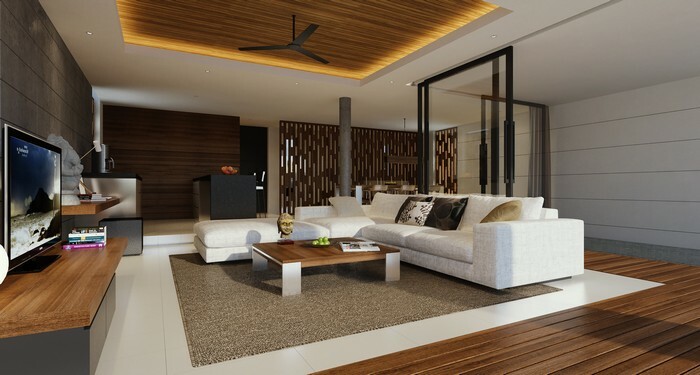 Also designed by Gary Fell, Aqua Duo villas offer a unique buying and investment opportunity including 4 types of 2-bedroom villas and 2 types of 3-bedroom villas each offering a modern, minimalistic design with spacious open-plan living that literally spills onto the surrounding tropical views and topography. 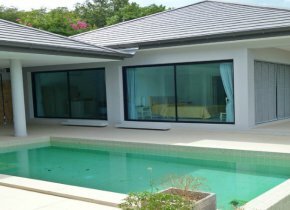 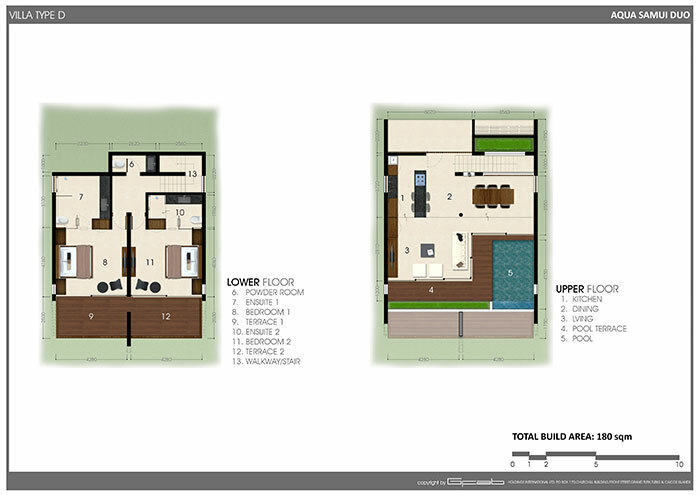 Aqua Duo Type D seaview private pool villas offer 2 bedrooms and 3 bathrooms built over 2 floors with 180 sqm of built area.